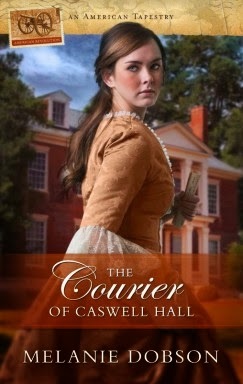 The Courier of Caswell Hall by Melanie Dobson is part of The American Tapestry series. The novel is set during the American War for Independence. 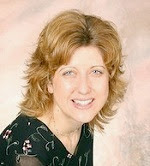 I have read several books in the historical fiction genre that covers the Revolutionary War. What I enjoyed about this particular story is that it shows the conflicted feelings and the fear that loyalist colonists felt. Dobson writes about a young woman whose parents were loyalists, who became a spy for General Washington. Dobson shows the difficulties that people on both sides had in this well-researched novel. I enjoyed the familiar story of the brave people who fought for our countries independence; but it was particularly interesting to have a picture into the lives of those who remained loyal to England. The tension in the book escalates as Lydia of Caswell Hall becomes more and more involved with the freedom fighters in the revolution. This is a book that develops into an exciting story. I have visited Colonial Williamsburg and I could picture the village as I read the story. This was a time period in our nation that is rich in events and stories and Dobson makes them come alive. I felt that I really had a sense of the bravery and courage that Lydia had to draw on as she tried to live her life in a way that was God honoring and that followed her personal beliefs. The Courier of Caswell Hall is a well-written book that shows the human side of a war that is so important to the United States of America. It speaks to the reader to turn inward and examine when to take risks for one’s beliefs. I received this book from the publisher in return for a review. All opinions expressed are my own.